Born in Palestine, Ravanari prabhu joined ISKCON in 1973 in Germany. As a young devotee, he heard that it was Srila Prabhupad’s desire to have Bhagavad Gita translated into Arabic, so he began that service immediately. A couple of years later, he met Srila Prabhupada personally in Vrindavan during the opening of the Krishna Balaram Temple in 1975. “I couldn’t believe Prabhupada wanted to meet me,” he said. “The effulgence coming from him made me speechless. I had no way to converse with him. I was completely awestruck.” “Why are you sitting so far away?” Prabhupada asked him when he entered his room for darshan. “Come closer. Sit next to me.” When Ravanari prabhu saw that Srila Prabhupada had a copy of his translation in his hands, he was overwhelmed. “Read me the translations,” Prabhupada asked. “But Prabhupada, it is in Arabic,” he responded. According to Ravanari Prabhu, Srila Prabhupad then began to recite the entire Arabic alphabet and started to read some of his translation work. Ravanari prabhu spent the entire morning in Prabhupada’s quarters reading out loud his translations while he listened attentively. At the conclusion of the reading, Prabhupada announced, “Print it. 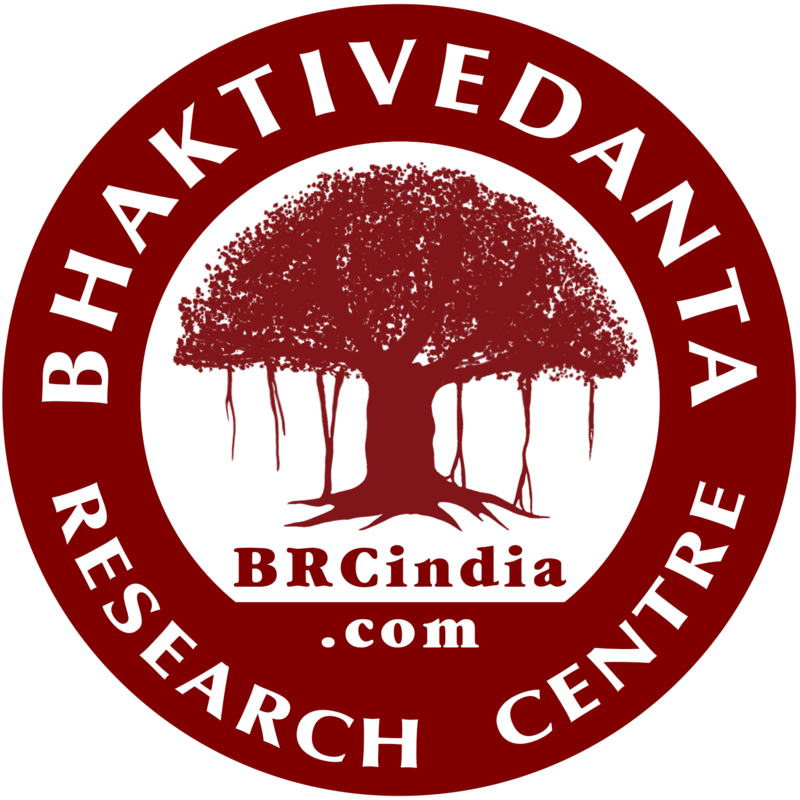 Learn how to transliterate the Sanskrit verses as well. Print it as soon as possible”. After this time, he ran a preaching center in Beirut, “in the middle of a military zone” where he was tortured and imprisoned along with Tribhuvanath Prabhu (Ireland,) Omkar Prabhu (Mexico,) and Padmapani Prabhu (Canada.) They were not fed for weeks and almost starved to death in a small cell. “The soldiers beat me only because they considered me a local and suspected me to be the leader of a spy mission,” he explained. “They kicked my head with their boots on and be at their guns into my skull. There was blood coming out of my eyes”. Later, while translating Prabhupada’s books in Cairo, his only son, Shyamasundar, contracted meningitis and left this world at the age of 3. “Somehow I had previously been inspired to bring him to Mayapur at a very young age. 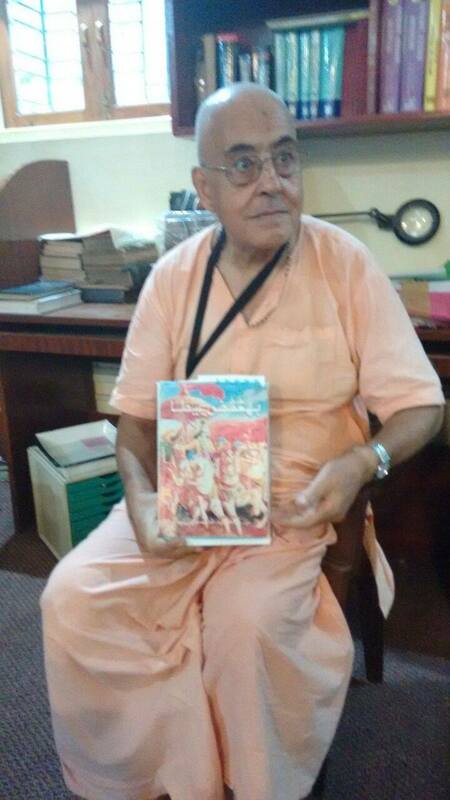 He went on parikram with me, took prasadam, and got a lot of blessings.” After this, he moved to Canada and spent his time translating every book of Srila Prabhupada into Arabic. “I took seasonal jobs. I’d work for a few months at a time and then live off that money. I sat and translated for months and then I’d get work again for another few months,” he explained. Ravanari Prabhu currently maintains a website where all of his Arabic translations of Srila Prabhpada’s books and lectures may be accessed: www.ravanari.com. He now spends most of his time in Mayapur. 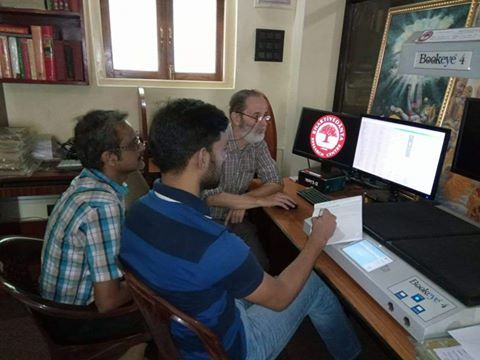 On a recent visit to Mayapur, Hari Sauri Prabhu received a special gift for to the Research Library’s rare books catalogue, a century old Bhagavad Gita with translation and commentary in the Urdu language. It was kindly donated by Ravanari Prabhu, Srila Prabhupada’s first disciple from the Middle East. (Read more about him by clicking HERE). Urdu is a Persian influenced language spoken primarily by Muslims in North India and Pakistan. It was originally published by a Pandit named Rai Bahadur Madan Dehlavi from Kashmir. 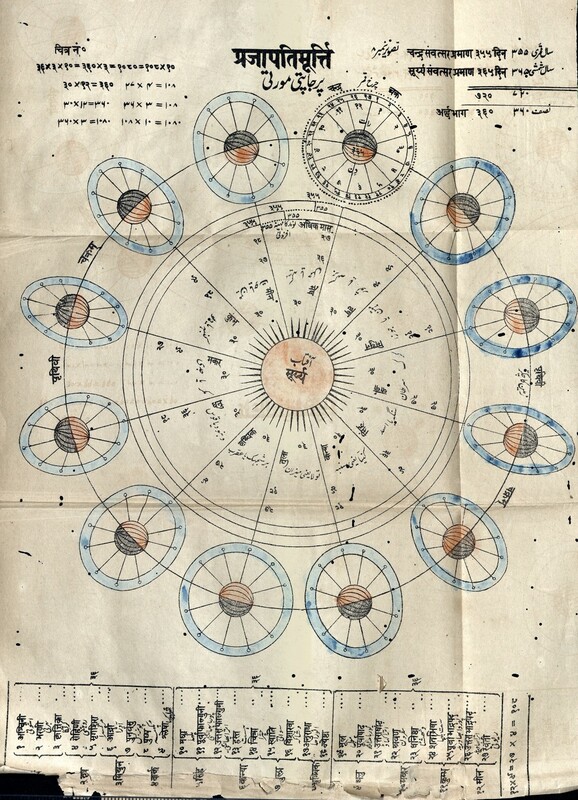 The edition is replete with several beautiful illustrations, including many esoteric looking diagrams depicting various aspects of Vedic Cosmology annotated in both Sanskrit and Urdu. Our Head Librarian, Acyuta Prabhu, contacted a professor of Urdu language at the Univer-sity of Michigan who was provided with the scans. He informed us this edition was published in 1906. The first page of the book reads “Janaki Nath composes Persian couplets and quatrains (rubā’iyat) in order to recast the original content of the Gītā. Each verse is followed by Urdu commentary.” The translator added that the illustrations seemed to assign mystical significance to the number of verses found in each chapter. To our surprise, he pointed out there were actually two books within the binding, a practice common at that time. The second book, “The Devotion of Viṣṇu”, also composed in Urdu, was published in 1885 and authored by one Munshī Munna Lāl Ṣāheb. The Library staff commented how striking it is to hold in your hands old devotional Vaishnava texts written in the exotic cursive Arabic script.